Give skill to my hands, clear vision to my mind, kindness and sympathy to my heart. Grant me singleness of purpose, to alleviate at least some part of the burden of suffering humanity through the work of my hands and help me to realize the privilige that is mine. Meristem is the botanical name of the tissue containing undifferentiated cells found in zones of a plant where growth can take place. It is analogous to stem cells in animals. Meristematic cells are capable of continued cellular division (youthful). It has the totipotency to become any part of the plant body and is the precursor of life, just like the perfect single undifferentiated zygote that you and I were that underwent cell division and differentiation in the course of growth to become the physical form that we now have. The potential for that totipotency of life continues to exist within the blueprint of our make - maintaining, repairing, healing, evolving. It is called meristematic cells in plants, and stem cells in animals and human beings. Meristem, being part and parcel of Nature, responds to the environment, the life forces and with its own inherent intelligence and becomes what it needs to become in the environment it is in. It is found in the tip of the root and in the tip of the shoot. Meristem is a droplet that can contain the Ocean of Consciousness in its Nature and create harmonious worlds in the Universe, just as you and I. My name is Bitha Sadanandan. I listen to life and it's rhythms and facilitate as much as possible life's healthy expression. I am a malayalee originating from Trissur, Kerala and living in Bangalore, Karnataka, India. 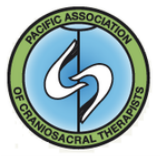 I am a registered Biodynamic Craniosacral Therapist with the Pacific Association of Craniosacral Therapists (PACT) who received training and got certified to clinically practice from Body Intelligence Trainings. 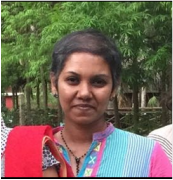 I am also trained in Systemic theory and practice in family constellations with Spanda and am an AHDI-certified healthcare documentation specialist working in the capacity of Sr.Quality Assurance Specialist at Acusis. I have a Bachelors degree in Science and a Masters in Eng.Lit. I am currently training to facilitate trauma healing via Somatic Experiencing from Dr. Peter Levine's SE Trainings, Trauma Institute, and getting Teacher Trained to be a HoopYogini. I train Aikido (The Art of Peace) with the Takemusu Federation of India and explore the Flute. Ancient scriptures are of particular interest to me, especially the Upanishads, as a guide to selfology. Nayana Bhat's I AM classes tripped me into nonlinear self-explored learning. Being an autodidact, I tend to pick up concepts from various thought veins which in many ways teach/speak of the story of how life came to be and help me in my own way to put together the history of mankind. I love stories of all kinds for in them are the threads that bind us together as human beings and speak the Story of how life has been. I blend discerned best practices from trainings received from various schools of thought into my clinical practice, including the ontological works of Landmark Education, Transactional Analysis, and phenomenological techniques and mindfulness practices from various disciplines, including G.I. Gurdjieff's Fourth Way work, Sacred Whirling, Bonnie Bainbridge-Cohen's Body Mind Centering, Butoh subbody manifestations, Feldenkrais method, soul collage work, Jon Butcher's LifeBook, Shamanic journeying and drumming towards Medicine for Earth. Dr. Sigmund Freud's work fascinates me, especially his work on conscious, subconscious and unconscious minds and the dynamics of polarities. Ultimately, Life has been and continues to be the greatest teacher and inspiration in the work I do. "Walking I am listening to a deeper way. Suddenly, all my ancestors are behind me. Body Intelligence practice and facilitation is a meditation on life itself and on healthily living on our alive Planet, and the more I explore the therapeutic application of this, the finest philosophies and practices from various disciplines emerge as being a requisite and as the motivating force that facilitates Life itself; that it is a requisite for 'fine-living' and a continuous prayer to the Breath of Life in a way that works for everybody and everything. Meristem Intelligence® is my latest and finest version of my explorations in figuring out the answer to 'what the hell is Life?' and presently seems to be the quintessential science to being oneself as an individual amongst the crowds. I find that the crowd is just as important as the individual and the boundaries between the two needs to be appropriately maintained to be an individual amongst the crowd(s) without invalidating either in any way whatsoever. I also find that it enables unwrinkling the fabric of time and space and to bring back the healthy tension in the Universe to be just enough for the Heart to appropriately beat the Pulse of life and facilitate Healthy vitae-enriching Life at the heart of Life/Everything. "Life is touched such that health is inspired to organically move from dis-ease to its original blueprint living matrix, being and doing what its structure was designed for. People, animals and plants, as visible evidence of life, shine in their own light, in harmony with All That There Is, in rhythmic harmony with nature and the Universe, being and doing what they came into existence for." Therapists trained with an accredited school will have completed extensive study, both theoretical and practical, often over a two-year period. In-depth study of Anatomy and Physiology, assignments, case studies and teaching clinics is part of the curriculum requirement. By choosing a Biodynamic Craniosacral Therapist who is registered, the client can be assured that the therapist has met the professional standards of PACT, is bound by the Code of Ethics, and continues to update their knowledge of Biodynamic Craniosacral Therapy as an ongoing requirement for annual registration.